FORT MILL, SC, UNITED STATES, August 21, 2018 /EINPresswire.com/ — Fort Mill School District has announced a three-year community partnership with Greater Charlotte Oral & Facial Surgery, a long-standing family of clinics with locations in Indian Land, Pineville and Steele Creek. 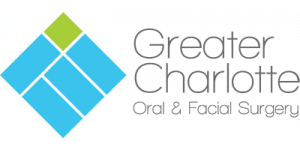 In addition to providing support for the district’s middle school and high school athletic programs, the partnership will strive to drive engagement within the community by delivering educational resources to parents and students within the district. "School sports are a vital part of every community," said Amir Marashi, MD, DDS, FACS, medical director of Greater Charlotte Oral & Facial Surgery and The Facial Center. 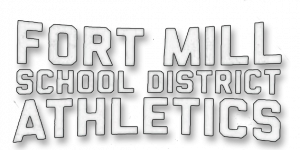 "It's our honor to partner with the Fort Mill School District to enrich the athletic experience and provide direct access to board certified Oral and Maxillofacial surgeons and skincare experts." As a strong supporter of education and interscholastic athletic programs, Greater Charlotte Oral & Facial Surgery plans to take advantage of custom opportunities to support the district’s needs. This includes recognizing their new community of student-athletes for all their hard work on and off the field. Official details and campaigns are scheduled to launch this fall. Greater Charlotte Oral & Facial Surgery is part of a family of clinics that includes The Facial Center in North Carolina and Mountain State Oral & Facial Surgery in West Virginia. The combined expertise creates a unique opportunity to provide patients with comprehensive care for all their oral and facial needs. Learn more at GreaterCharlotteOralSurgery.com, TheFacialCenter.com or MtStateOMS.com. The Fort Mill School District’s commitment to its mission, “Children First…Every Day,” is at the heart of each decision made by staff, teachers, and trustees. Geographically, the district is one of the smallest in the state but has the fastest growing student population, serving more than 15,000 students in 16 schools. The district is one of the top performing districts in the state, based on performance data. Students score well above state and national averages on the SAT and ACT exams. Additionally, the district offers the opportunity to engage in rigorous coursework, with 17 AP courses available, and 84 percent of students scoring a 3, 4, or 5 on the AP exams. In 2018, the senior classes of Fort Mill and Nation Ford high schools earned a combined total of more than $31 million in scholarships. We balance our commitment to academics with a dedication to arts and athletics programming, creating well rounded students with varied interests.